4. 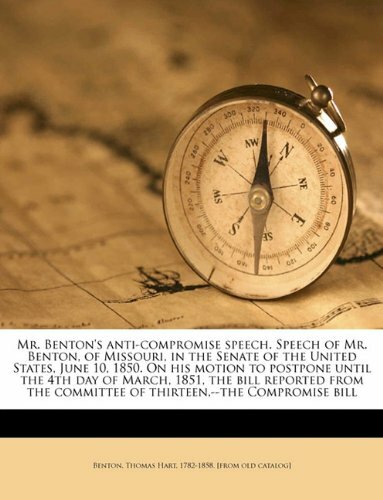 Mr. Benton's anti-compromise speech. 8. Mr. Benton's anti-cession speech. 5. 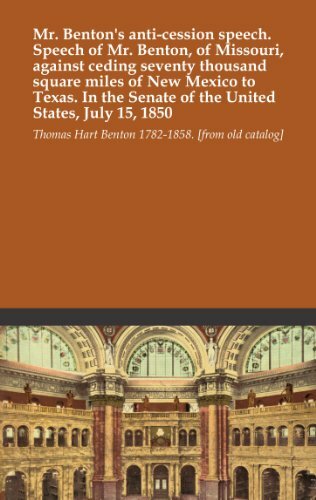 Old Bullion Benton, Senator from the New West: Thomas Hart Benton, 1782-1858. 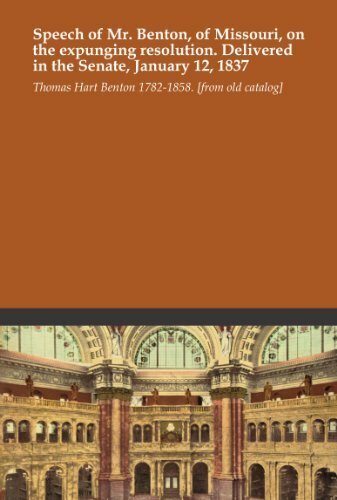 Outstanding political history of the early to mid-19th C.
This biography of Thomas Hart Benton is an outstanding look at not only the man, but the politics of an era. While many are familiar with the names and actions of Clay, Webster, and Calhoun, few are so familiar with the fourth member of this "quadumvirate." 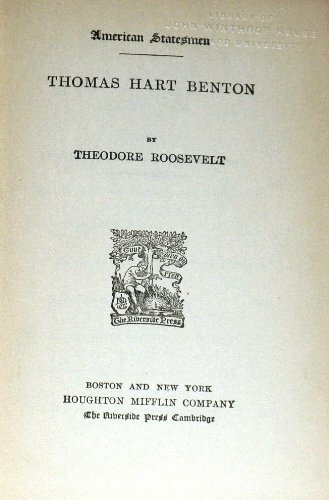 Benton was every bit as eloquent, influential, and powerful as his contemporaries, but his contributions seem to have been overshadowed in popular conception by his fellow Democrats, Andrew Jackson and Stephen Douglass.For the first time we see a man driven to represent his adopted state (Missouri), his penchant for engaging in duels (he once shot Andrew Jackson who carried the bullet for twenty years), and his sincere desire to aid the working man in the expansion of the new West. 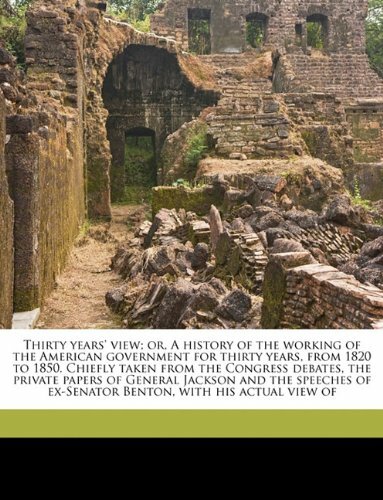 Benton's thirty-plus year career spans from the age of the founding fathers to the beginnings of the sectional crisis of the Civil War. This work is a must read for those interested in the politics of the Jacksonian era which led to the Civil War. by Benton. Thomas Hart. 1782-1858.